Before travelling to Russia, citizens of China must obtain a visa that corresponds to the objectives and dates of their journey. Documents for the Russian visa can be submitted at the Russian visa application centers of the on the territory of China in Beijing, Shanghai, Shenyang, Guangzhou and Hong Kong. Tourism Up to 30 days Tourism, visits to family and friends, seminars, exhibitions, short-term events Price of invitation 2990 Rubles. Private Up to 90 days Long and difficult to obtain, we recommend business or tourist instead. In this article, we will discuss the main types of visas, the required documents, prices, and processing times. You will need a tourist visa for a short trip of up to 30 days if you want to see Russia’s sights, visit your friends and family, participate in seminars, conferences, and other events. This type of visa is fairly simple and fast to obtain allows a single or double entry into Russia. When applying for a tourist visa, Chinese citizen must pay the consular fee: 345 RMB. For express visa which is processed within 3 days the consular fee is 827 RMB. Order a tourist invitation from us, and we’ll prepare it for you in one working day. The invitation will be issued by the official Russian tour operator and will contain the dates of your trip to Russia, your passport details and the hotel of your stay in Russia. If you don’t plan to book a hotel, or if you want to do it later, we’ll provide you with a reservation in one of the hotels in Russia for the period of your visa application process. If the purpose of your visit to Russia is a business trip for negotiations or business transactions, you will need a business visa. It is issued for a period from 30 days to one year, with single, double or multiple entry. The consular fee for multiple business visa to Russia will be 1034 RMB. An invitation from the territorial authority of the FMS of Russia. With the introduction of the system of electronic invitations in 2015, the FMS process has become even simpler and more convenient. 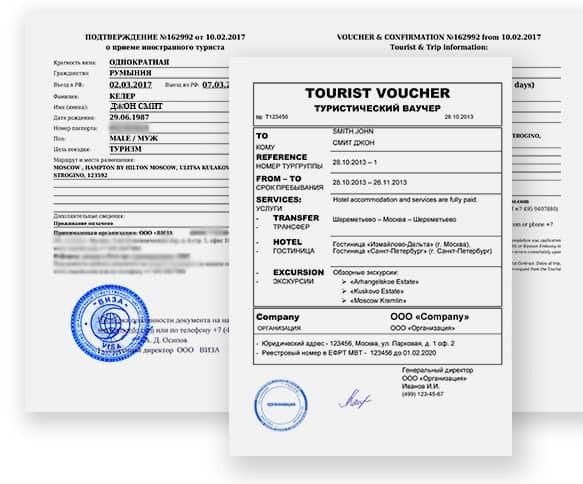 We will prepare a business electronic invitation for you if you are travelling on business to Russia from 90 days to one year, and send it as an official electronically encoded document on the FMS form. A second copy of this invitation will be sent electronically to the relevant consular office of Russia in China where you will be applying for your visa. Preparation time for this invitation is from 16 to 21 days. For private guest visits to friends and relatives in Russia, you can apply for a private visa. With a private visa, you can stay in Russia for up to 90 days with a single or double entry. Before submitting visa documents, you need to contact the inviting party in Russia and ask them to write a request at the local federal migration service office. An invitation issued by the Russian Ministry of Foreign Affairs or the relevant Russian Federal migration service. 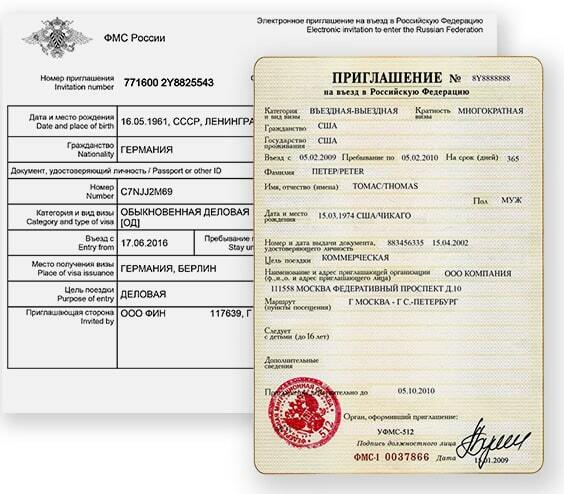 This invitation is granted on the basis of a request from: A citizen of the RF, a foreign citizen with a residence permit in Russia, a legal body. We want to warn you that the application for a private visa is a complex and long-term process, so we recommend a tourist or business visa instead. If you have decided to receive a private invitation, you can do so by asking the inviting person to submit a petition to the FMS office of the RF at the address of his registration. 200080, Shanghai, str. Huanpulu 20.